We're often asked questions in QUISPAMSIS, NB about the cooling system – the system that cools your engine and keeps it at the proper operating temperature. Let's examine the topic in two areas: first the coolant itself and, second, the parts that make up the cooling system. Finally, your coolant needs to be fresh. Over time and miles, the anti-corrosion additives in the coolant are depleted and the coolant can actually start to eat away at the cooling system parts. Your owner's manual and your PREMIER AUTOMOTIVE SALES & SERVICE service adviser in QUISPAMSIS, NB can help you with the recommended coolant replacement schedule and make sure you're getting the right type of coolant. We see leaky water pumps and hoses in QUISPAMSIS that need to be replaced, too. There's also a part called the thermostat that opens and closes to regulate the flow of coolant. Sometimes they stick open or closed and the cooling system won't work properly. Cooling system failure is the most common mechanical failure. The results can range from inconvenient to extremely expensive. You can head off most cooling system problems with regular coolant replacement and cooling system inspections. If you see green, amber or yellow fluid under your vehicle, bring it in for an inspection. 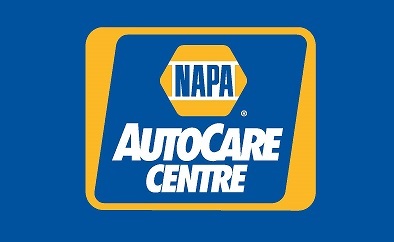 At PREMIER AUTOMOTIVE SALES & SERVICE in QUISPAMSIS, we install quality NAPA replacement parts. Give us a call at 506-847-2277 and let us help keep you safely and economically on the road.